The idea of being honest, genuine and keeping things real is never far from the punk-rapper, singer and poetic observer of everyday life’s thoughts. It is as if Jason perceives the world through an automated authenticity filter, the filter becomes active when something doesn’t seem right, or fair to him. He appears to question everything, all the time. Just over a week ago, that same filter was vigorously applied when he said punk band IDLES were ‘appropriating a working class voice’, during a Q&A for The Guardian. It became the hot topic of discussion that week, and it would see the likes of Fat White Family adding their comments in support, as much as bouncing critical remarks back at Jason, and adding more fuel to the fire. No doubt, these are serious issues. It seems rather telling that a musician can’t be seen to express critical views about other bands or about the industry, but Jason is not surprised about the state of affairs in 2019. He is still extremely passionate about being in music, aims for longevity and he clearly has something to say, there is plenty of substance and humour in his musings. For Williamson, things are in a healthy place, but they weren’t always as good as they are now. He has done more than his fair share of unskilled labour, has felt the deep sense of dread and experienced the feeling of depression when he was stuck in dead-end jobs he didn’t like, or hated. 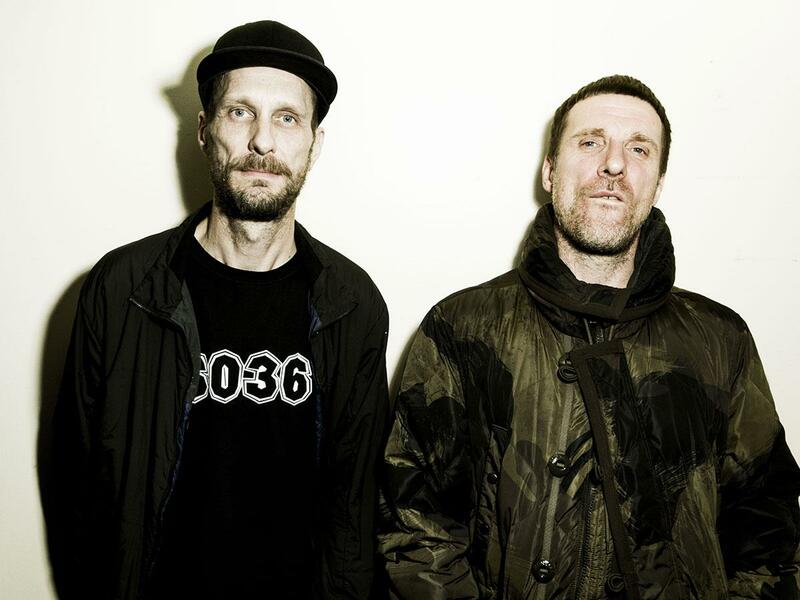 Signifying the start of a learning curve, the release of the fifth Sleaford Mods studio album, 'Eton Alive', through their independent label Extreme Eating, has proven to be harder than anticipated. Having left their previous label and parted ways with management, immediate, logistical problem-solving was required. Jason’s wife, Claire, came on-board, Cargo Records UK, their current distributor joined-in; a suitable network was subsequently created and the album release campaign got up and running. “Our departure from Rough Trade was a bit premature”, Jason concedes, “we didn’t fully realise what we needed to do for an independent release. We are not a small band anymore, so we were trying to get the same infrastructure in place we had with them, which proved quite hard”. As expected, the album’s chosen theme is political. If 'English Tapas' dealt with the effects of Brexit, Eton Alive is Jason’s poetic examination of some of the effects of elitism in current society. The lyrics that emerge from this are an outlet for anger and aggression but are simultaneously more subtle, indirect and nuanced. The record is less shouty than any of its predecessors and with Andrew Fearn’s arrangements becoming increasingly sophisticated, the result is a more accomplished album. On this album, Jason has been playing with the more standard song format of verse followed by a chorus on a couple of the songs, a deviation from how he would go about things before. The determination to deliver strong lyrical content seems to be forever on-going, it is part of his DNA, and perhaps luckily, there is always something to be angry about. Jason is aware that he can no longer refer to himself purely in terms of being working class, things are more complex. But whilst he lives in a bigger house than before, resides in a posh part of Nottingham and is generally a lot better off in regards to financial wealth, his political beliefs remain unaltered. They can be summed up as; once Labour, always Labour, and his views of what is wrong in the society we live in are exactly the same as they were. Reflective of his own political views, Jason is equally unexcited by the current state of British guitar music. His recent financial prosperity may add some intricacy to his position, but Jason’s heritage, where he is from, is always going to be working class. “Class is such a weight around your ankle, though it’s wrong when someone is pretending to be something else. But it’s a bit of a double-edged sword”, he concludes. 'Kebab Spider' is out now.